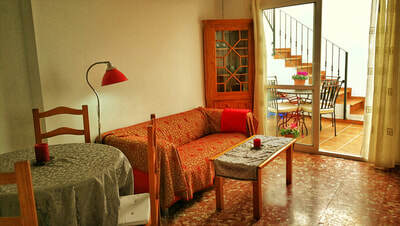 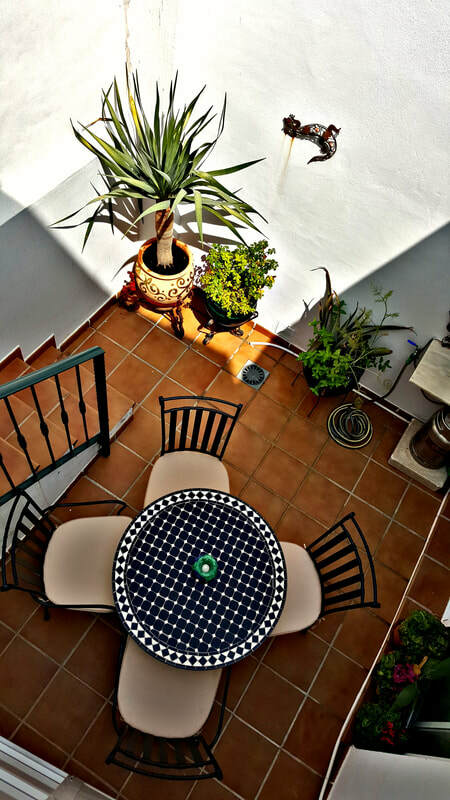 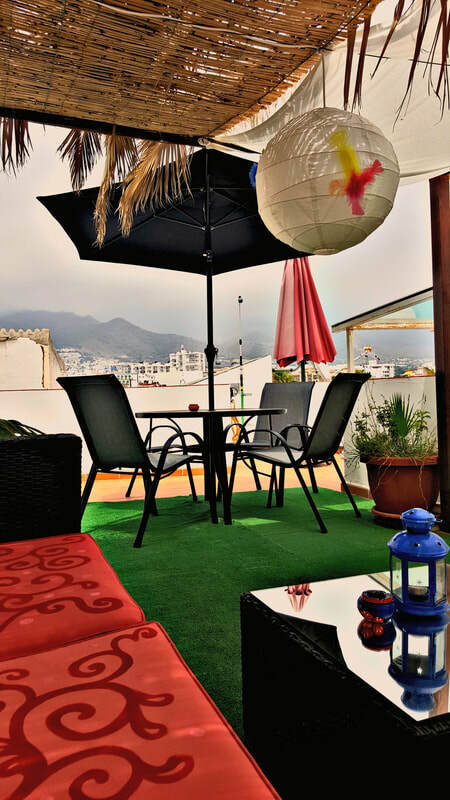 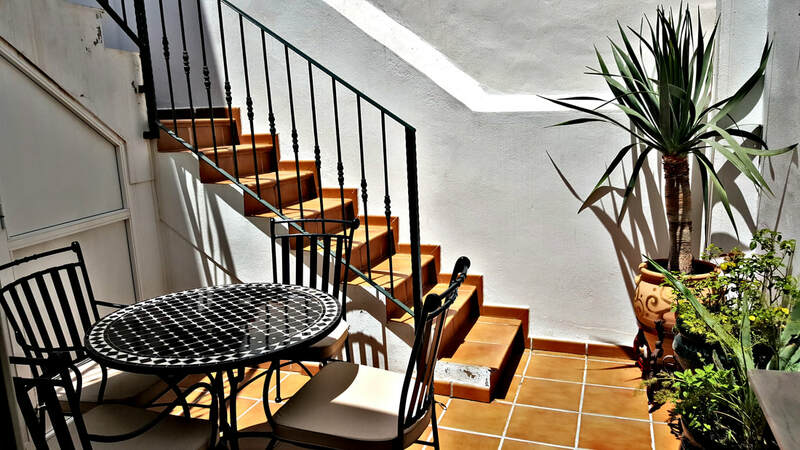 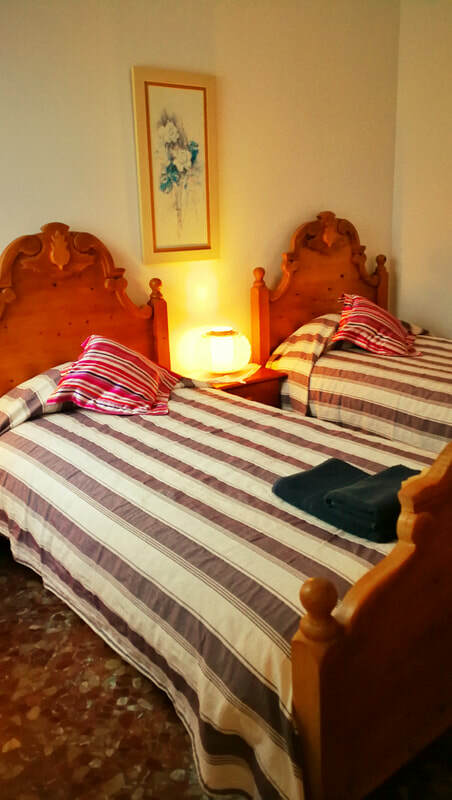 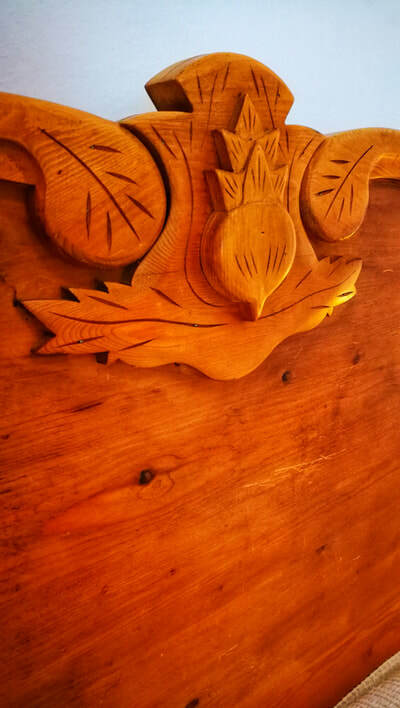 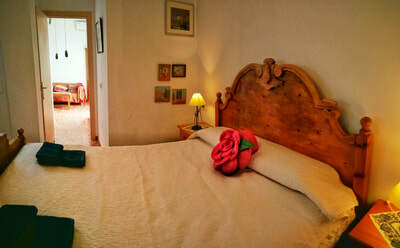 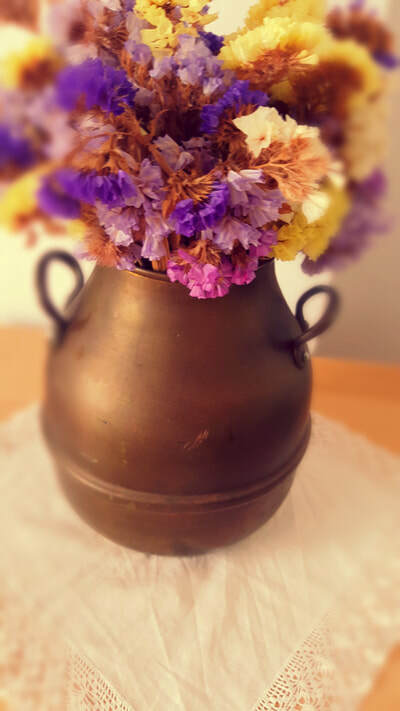 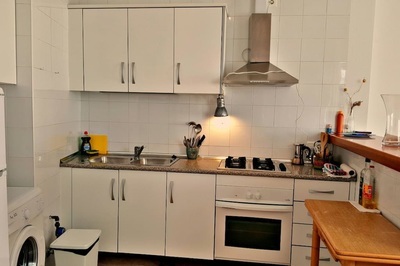 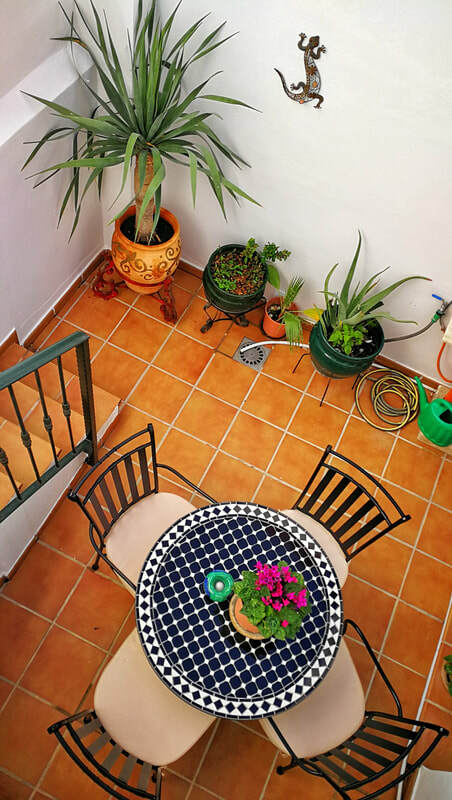 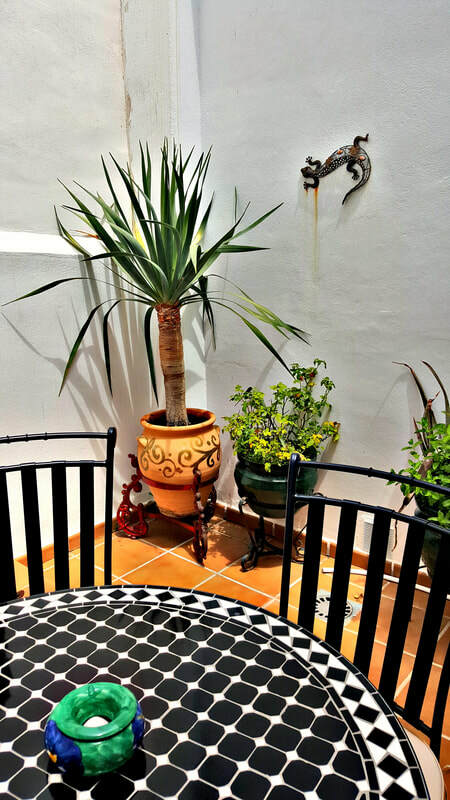 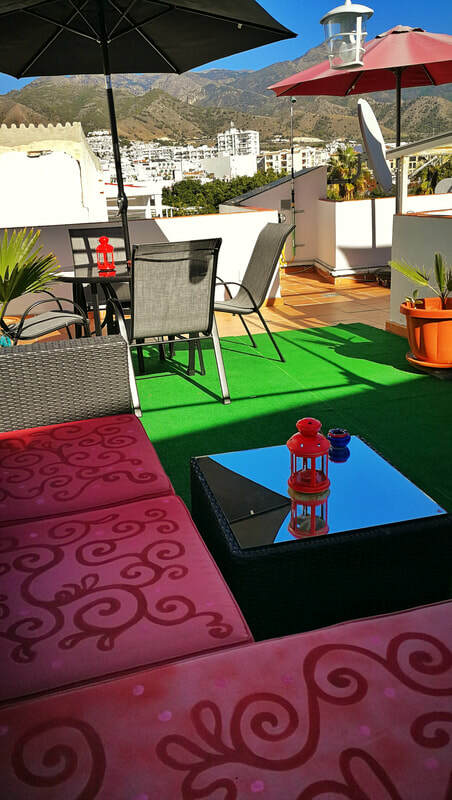 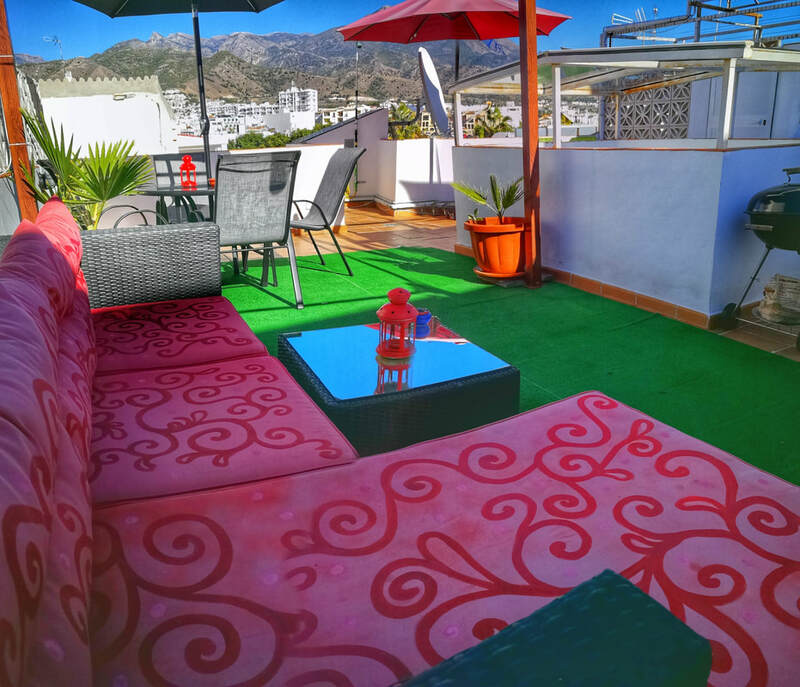 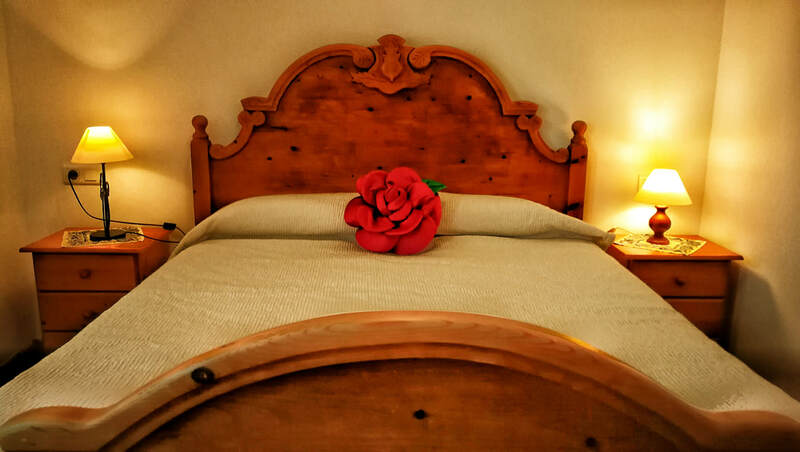 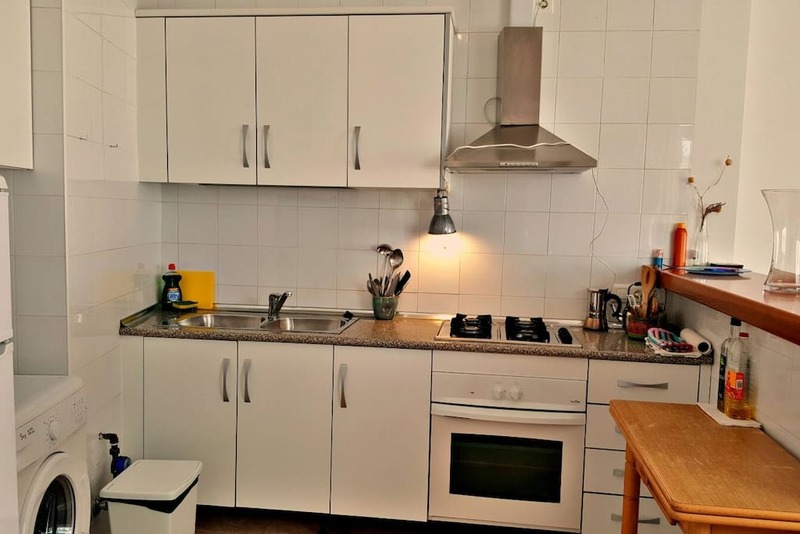 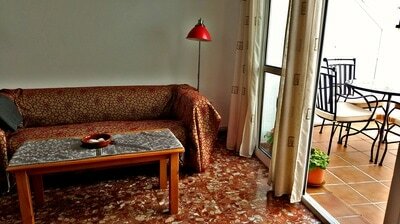 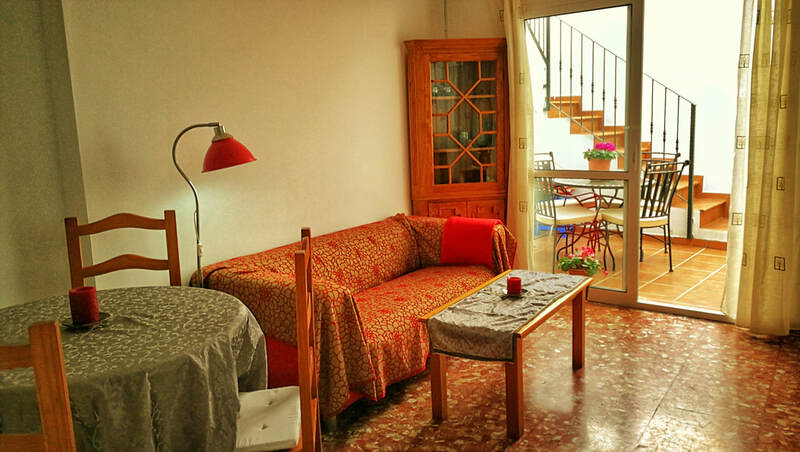 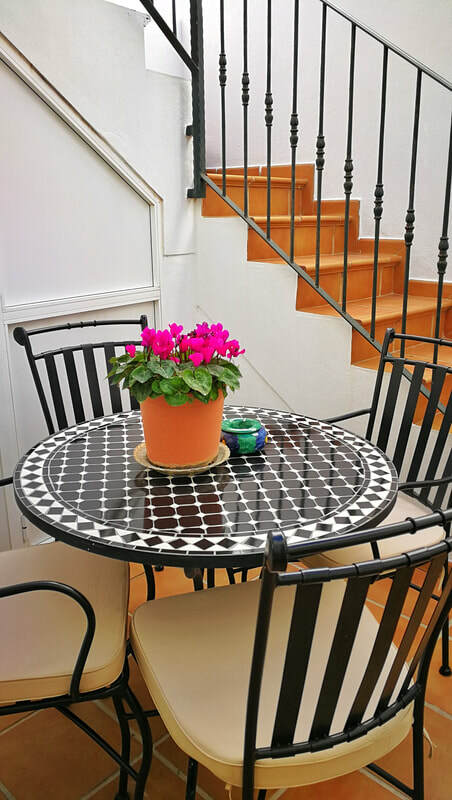 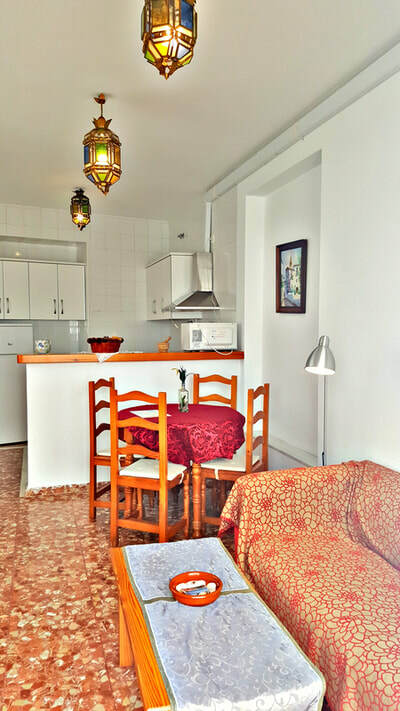 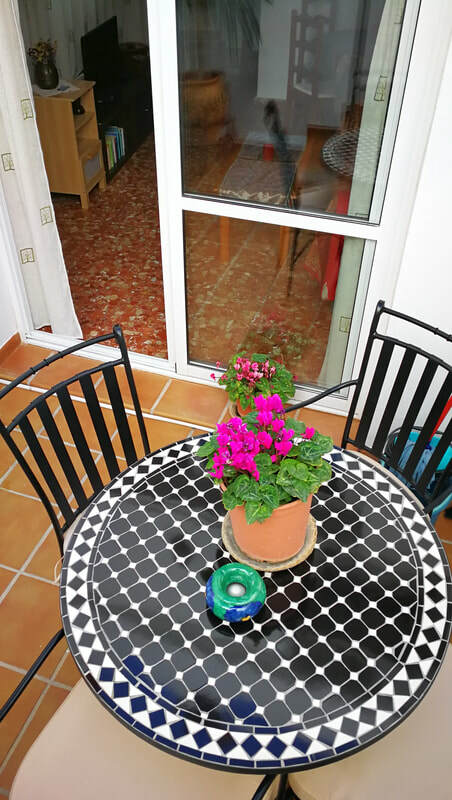 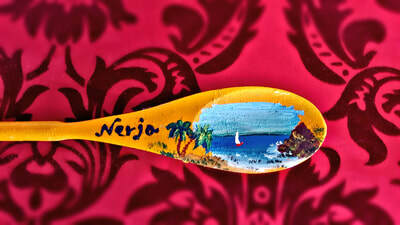 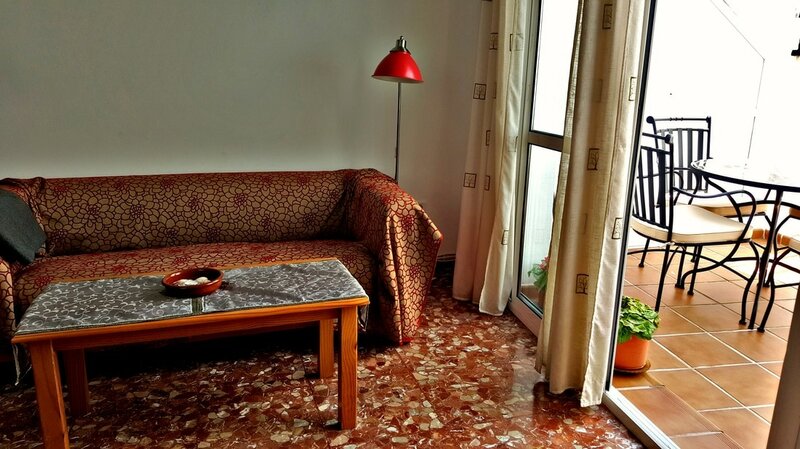 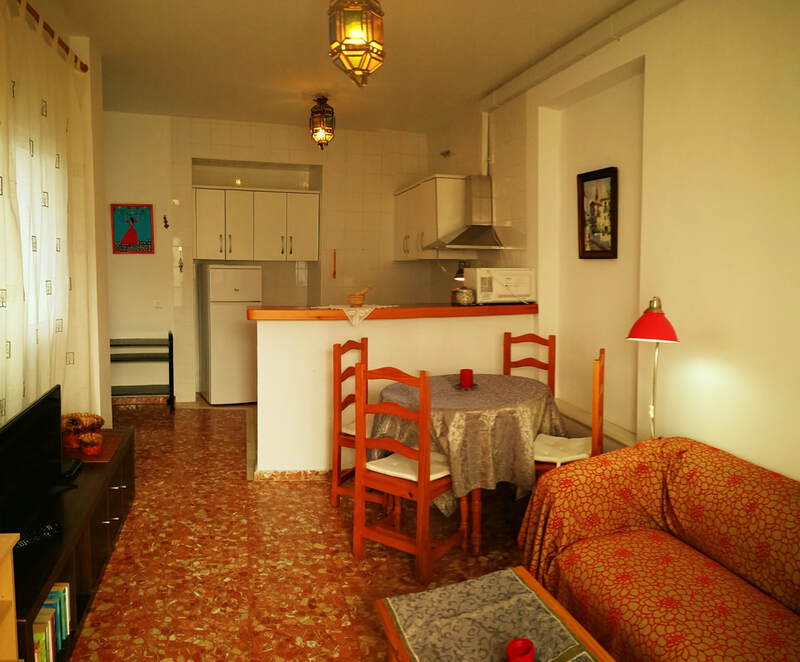 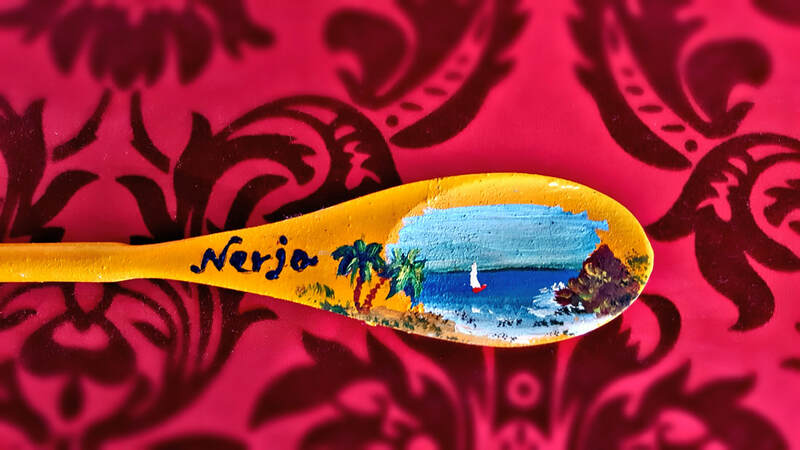 The apartment is located at the very beginning of Calle Carabeo, very close to the Balcon de Europa. Located in the first floor, the whole apartment is built around its own patio and therefore extrmely quiet, isolated from the outside noise. 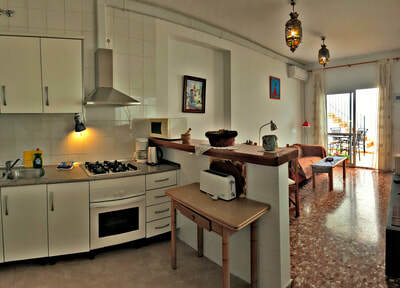 American style kitchen with bar beside the salon, which opens to another patio furnished with table and chairs. 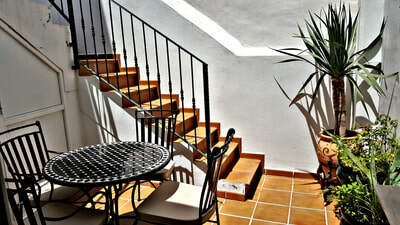 From here the stairs lead up to the big private roof terrace with mountain and partial sea views. 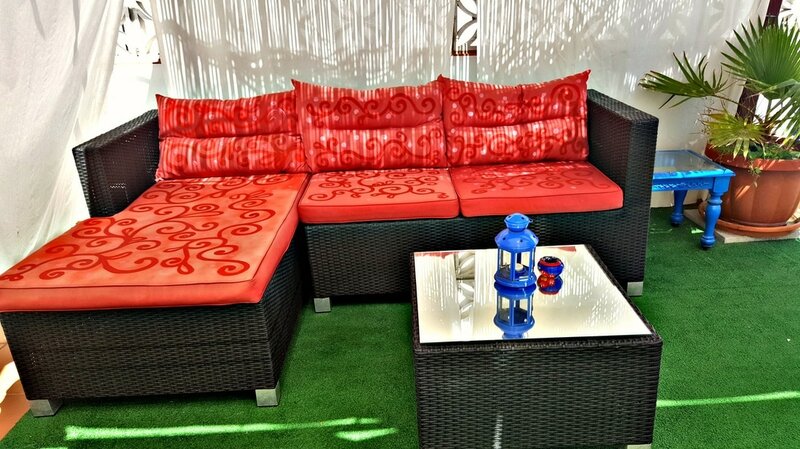 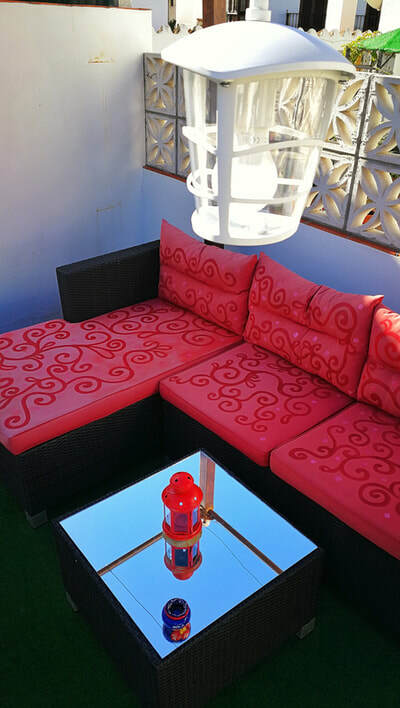 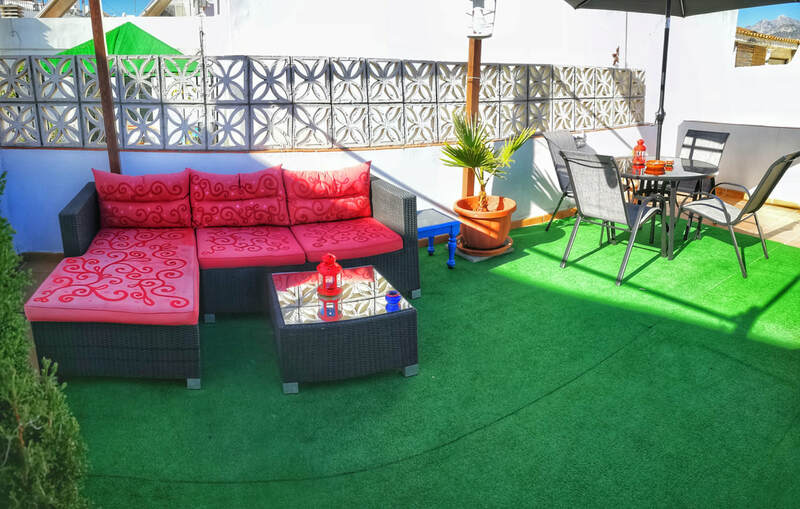 Roof terrace is furnished with a lounge area, deck-chairs, parasol and dinning table. 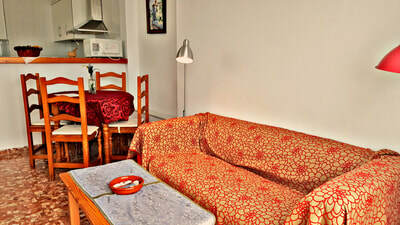 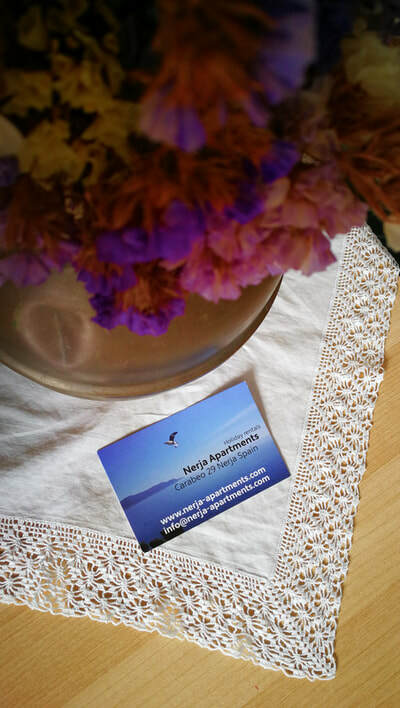 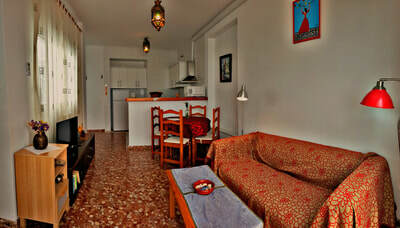 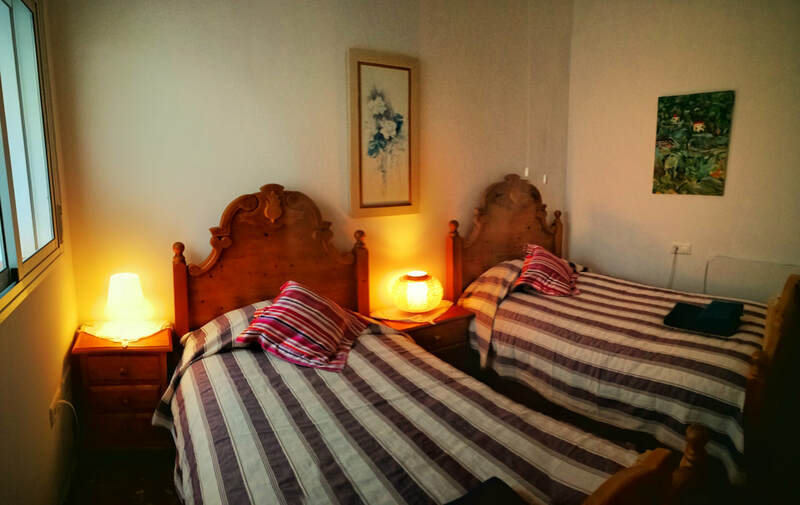 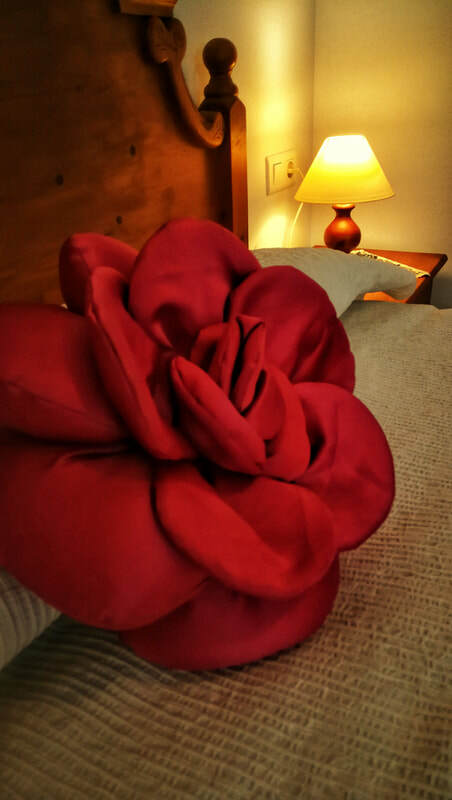 Apartment has international satellite TV and spanish cable programms, and free WiFi (high-speed optic fibre).